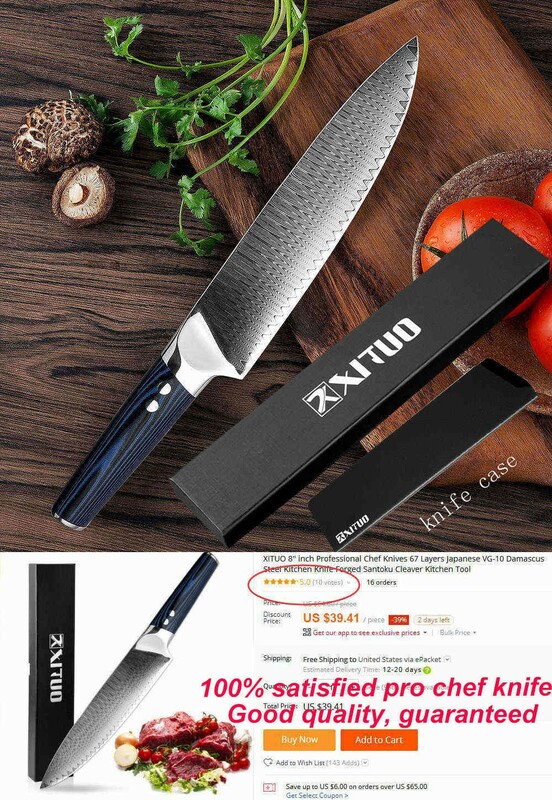 Tip: 1,Put the knife away from children, this may hurt them! 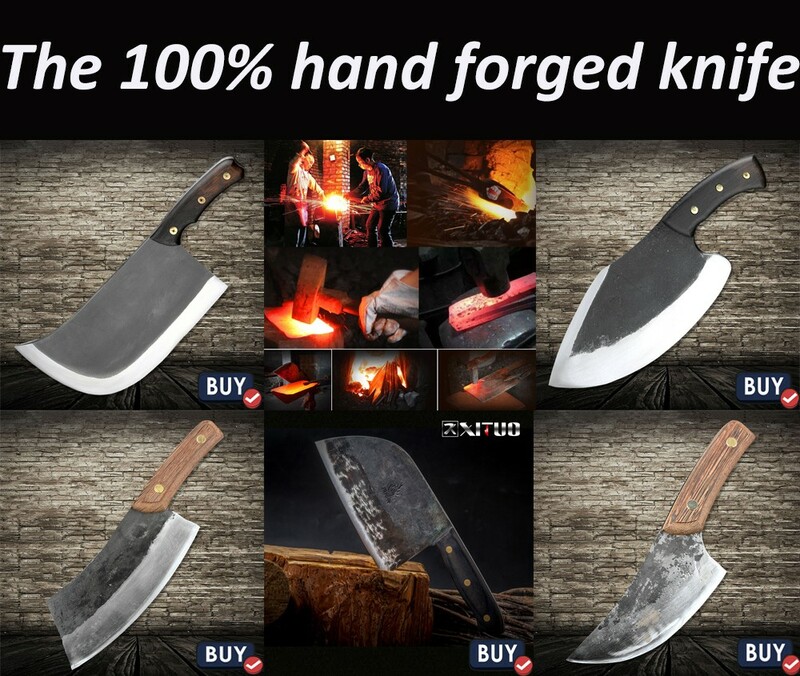 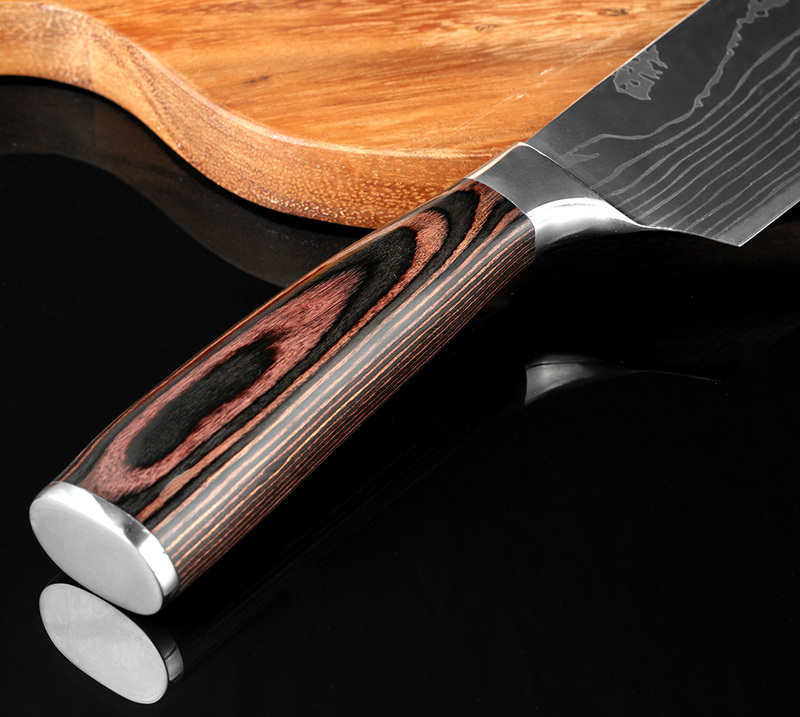 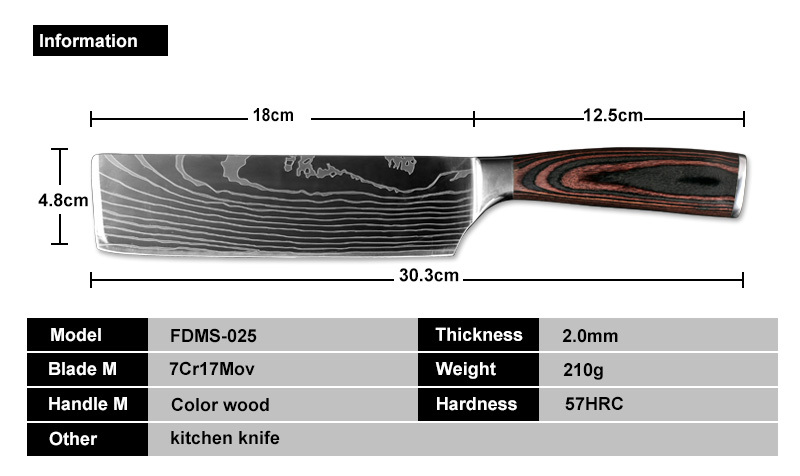 Handle: high-quality Color wood handle. 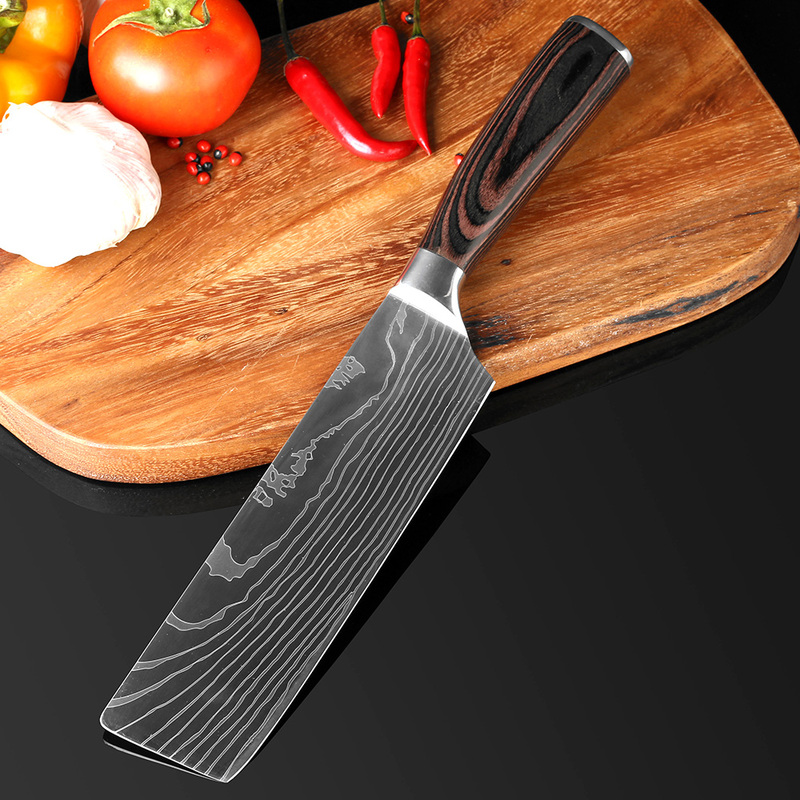 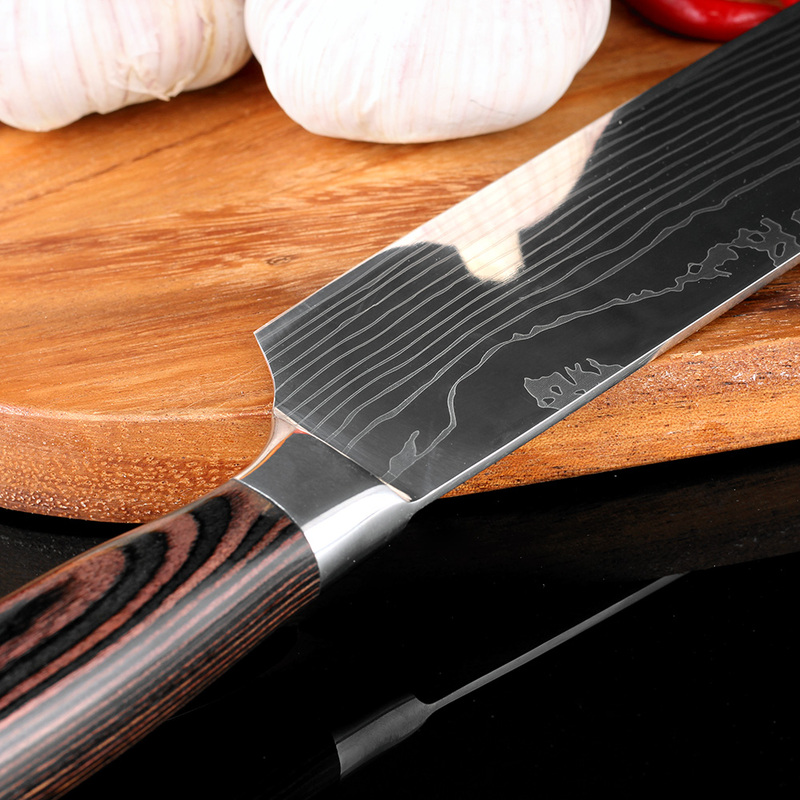 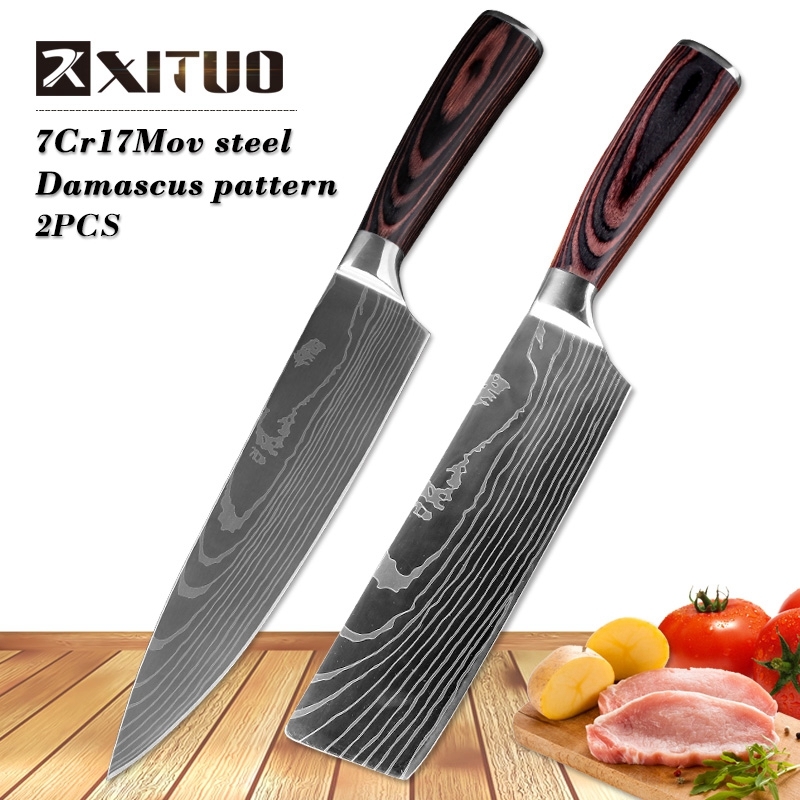 Tips: The blade is 7CR17 stainless steel, the surface of the laser Damascus pattern, very beautiful, good workmanship, razor sharp, keep your kitchen away from the blunt knife, and enjoy your kitchen life! 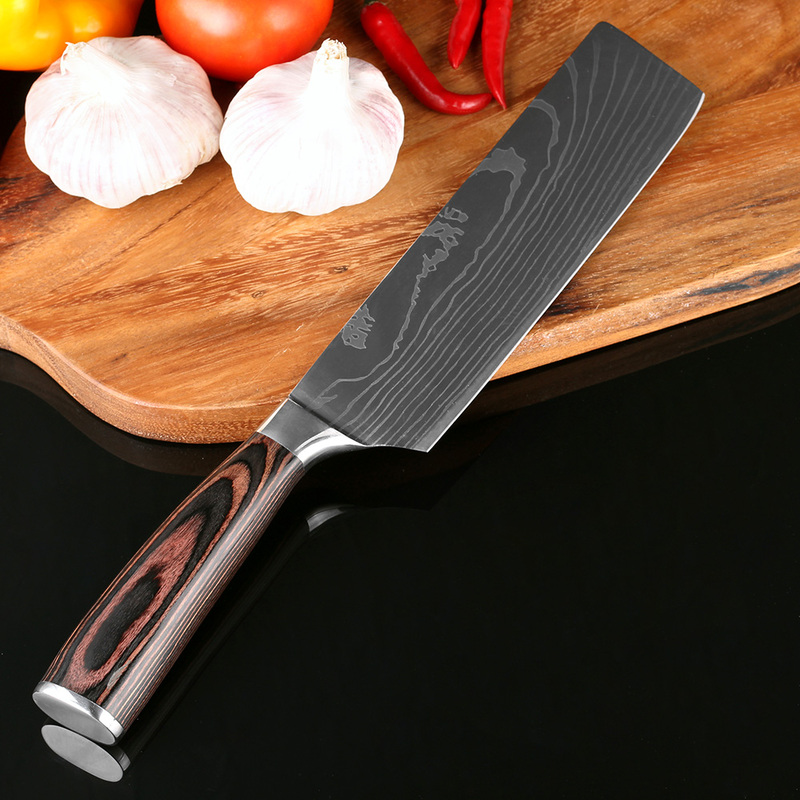 Other: It's functional and well balanced, good for practice and collections!